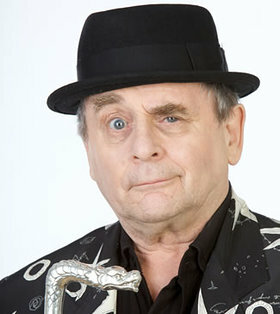 Dr Who and The Hobbit Actor, Sylvester McCoy, has taken time out of his busy schedule to support the launch of Barnardo's Great Winter Stock Appeal. The quirky Time Lord, famous for his question mark jerseys and Panama hat, has wrapped himself from head to toe in piles of Winter woollies, coats and scarves for a poster shoot and video message in support of the appeal. Commenting on the appeal, Scottish born Sylvester said "I was happy to take the time to get involved in this very important appeal for Barnardo’s. They urgently need donations of pre-loved Winter coats, woollies and accessories to help their stores build the stock they need to sell this Winter. Now that Spring is finally here, it’s the perfect time to clear out Winter items you no longer need! Barnardo’s is hoping that thousands will be raised via the ‘Great Winter Stock Appeal’ to help support the UK’s most vulnerable children and their families. •	Seasonal gifts and presents. Gerard Cousins, Director of Retail & Trading, Barnardo’s, explains: "Our shops are desperately in need of quality Autumn/Winter donations. It’s important that we gather as much Winter stock as possible throughout the warm months in order to keep up with customer demand when the colder weather hits again. We want to have a bumper Winter season in the shops this year, allowing us to support some of the most vulnerable children across the UK. Research has found that and average of 1.7 billion items of clothing are left unworn every year – that is 30% of an average wardrobe, amounting to approximately 28 items for every man, woman and child in Britain.